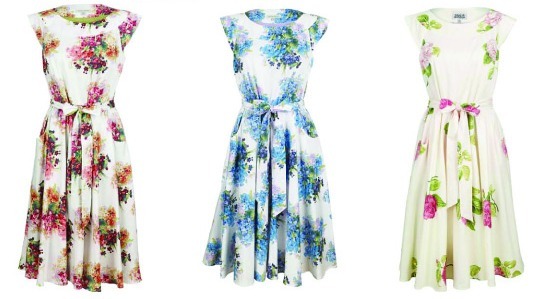 In honour of Twin, who departs for foreign shores tomorrow, here’s a selection of floral frocks which I know she’ll approve of. Laura Ashely have been pootling around in their archives once again for some prime vintage prints, which have been re-imagined on a series of summer dresses and cardigans. Peony on the far right is definitely my favourite, but I also have a soft spot for bluebell. An abundance of other suitably efflorescent prints are available – see the website for more. PS I have a few of my mum’s vintage Laura Ashley smocks from ye olde days – just seeing the chunky font-ed labels in these Archive bits makes me want to dig them out next time I’m at home.